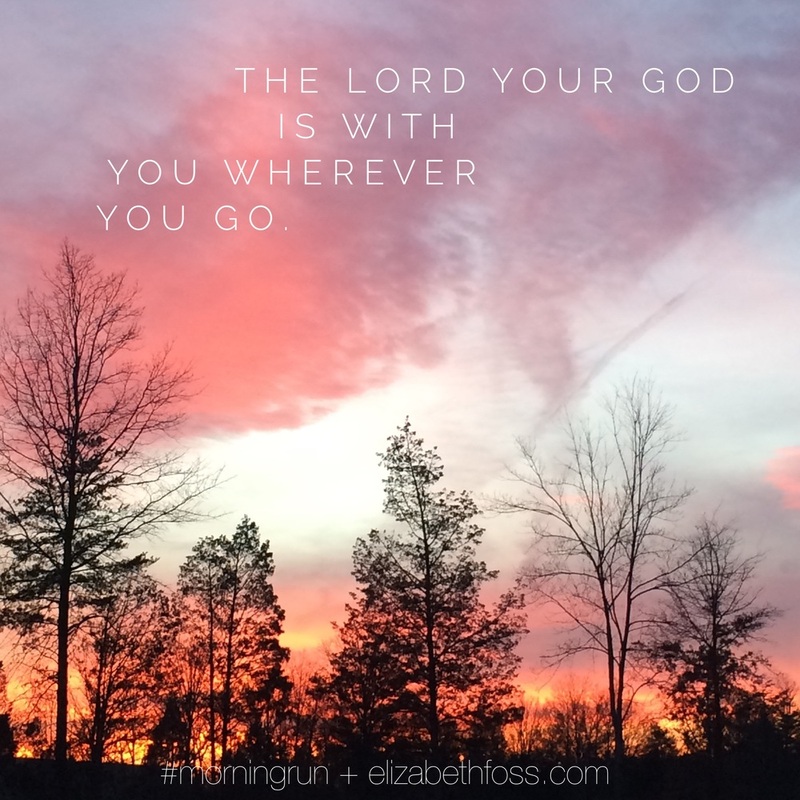 Dear God, Let me notice you in the sunrise and in the sunset. Remind me that you are with me wherever I go. I'm becoming a bit obsessed with the dawn and with the dusk. Last year, when I started getting outside before the sun came up, I also quickly learned the glory in a sunrise. Day after day, the colors of the sky promised me that God is vast and rather amazing. Watching the way He opened the day made me so sure that He could handle everything that was coming far better than I could. In every sunrise, there was surrender. Then came the sunsets. I am captivated by the sky. Truly. This winter has been too cold most mornings for sunrise walks outside. The sidewalks aren't predictably cleared and it's not all that safe to walk or run in streets narrowed by banks of snow. I've observed a fair share of sunrises from the warmth of my house. And I've been more than a little disappointed not to be out in it. Sunsets are a different story. I've pursued them this week. Even though I've been driving hither and yon, I've been soaking in sunsets. (Have I told you about the soccer team that never cancels practice due to weather? Yes, I'm familiar with ever indoor facility within a twenty mile radius.) The last two days, I've literally pulled over, gotten out of the car, and stood there to inhale the sky. Yesterday, Nick was with me. He didn't bat an eye at the strange behavior of his mother and I am extremely grateful for that. I have noticed people noticing me noticing the sun. Sometimes, when I've stopped to take a picture, they honk. Whatever. Those people probably need to slow down in their own lives. Mostly, though, people will pass me and see that I'm looking at canvas across the sky and they will pause, too. And they will look, too. They'll most likely smile with a shared recognition of having witnessed something remarkable. The evening will be more peaceful for the looking. Seriously, if God can do that in the heavens, what else can He do? Pretty much anything, right? And the thing about the sunset? When I get back in the car and drive to whichever soccer venue is my duty that day, the sun is setting all along the way. One view after another, one more glorious than the next. He's there. Wherever I go. By the time, the sun finally sinks over the Blue Ridge, I see how silly all the anxieties I've carried all day are in light of His vast majesty. The God of that sky? He's the Lord of my life. With the sunrise, let's put all the cares of the day into His strong hands. Let us be neither frightened nor dismayed. With the sunset, let's count our blessings and see all the ways He was faithful.